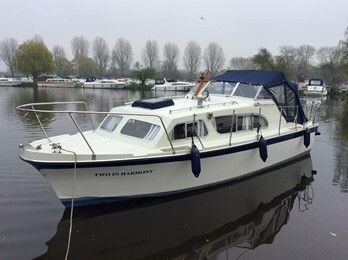 Elysian 27, "Two In Harmony"
This Elysian 27 is a well priced example of these Ouse built classic cruisers. 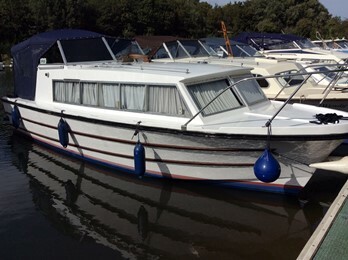 This very tidy Elysian 27 was fitted out to high standards by Buckden Marina. 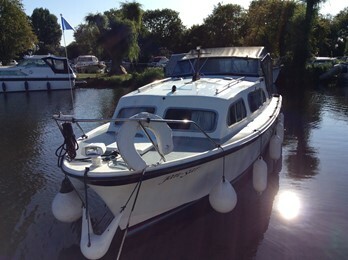 This craft was re engined in 1997 with a modern diesel engine. This Elysian 27 cruiser was fitted out by Bridge Boatyard, partially refitted in 2016, new canopy 2017. 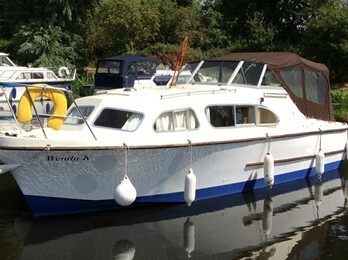 Appleyard and Lincoln of Ely were wooden boat builders and hirers who were involved in the very early development of GRP production motor boats.The company was in existence during its GRP days from around 1963 to 1976. The company built many Elysian 27s and also the elysian 34. The company site is now called Cathedral marina in Ely.